Marcia King Goos – Taekwando … not the usual sport you would associate with London, Ontario. But, her proficiency and dedication to the sport took her on journeys around the world. The Olympics in Seoul, South Korea; the Olympics in Barcelona, Spain; World championships and other international competitions in Germany, New York, Yugoslavia, Edmonton, Puerto Rico, Peru, the Netherlands, Greece, Argentina, and even onto the TV and movie screens as a stunt double. 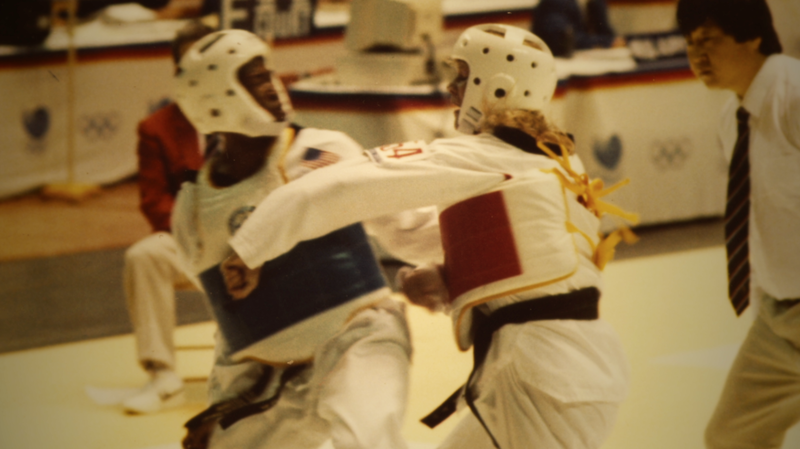 A multi-sport athlete at Medway Secondary School, Marcia competed in basketball, volleyball, track – you name it – but she gained the world stage in Taekwando by following her father Ed King’s footsteps. 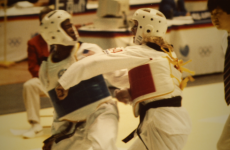 A 5th degree Taekwando expert himself, Ed encouraged her to take-up the sport when she was only seven. She honed her skills at Hongs’ Taekwando studio in London, battling both boys and girls on her way up the ladder. She competed in and won a number of tournaments throughout Ontario. This led to provincial and Canadian team tryouts and from there, elevation to international competitions. 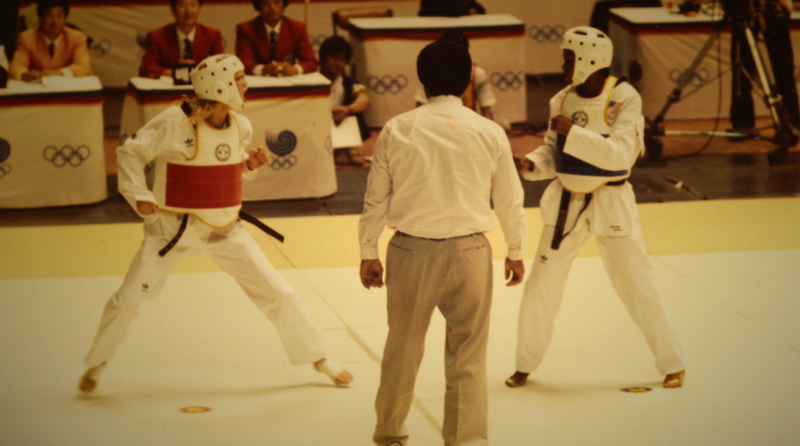 Taekwando was introduced as a demonstration sport at the Seoul Olympics in 1988. Those Games served as Marcia’s introduction as a future force to be reckoned with, giving her a world-wide reputation and identifying her potential for podium appearances at the international level. 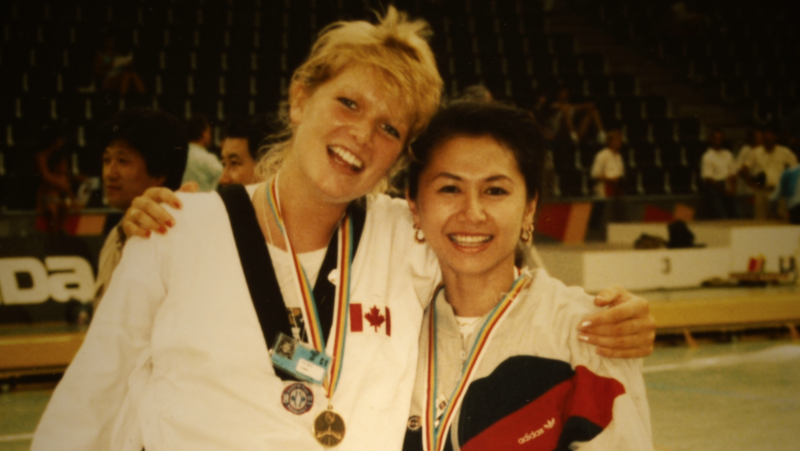 Put simply .. Marcia’s appearance at the ’88 Games placed her at the forefront of Taekwando in Canada and around the world. 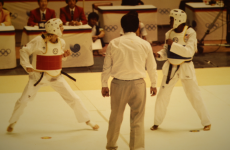 In 1989 after many long hours of training, she produced a gold medal performance in the middleweight division at the World Games in Karlsruhe, Germany. At the still developing age of 19, she had achieved a dream that began with that first trip to Hongs’gym. 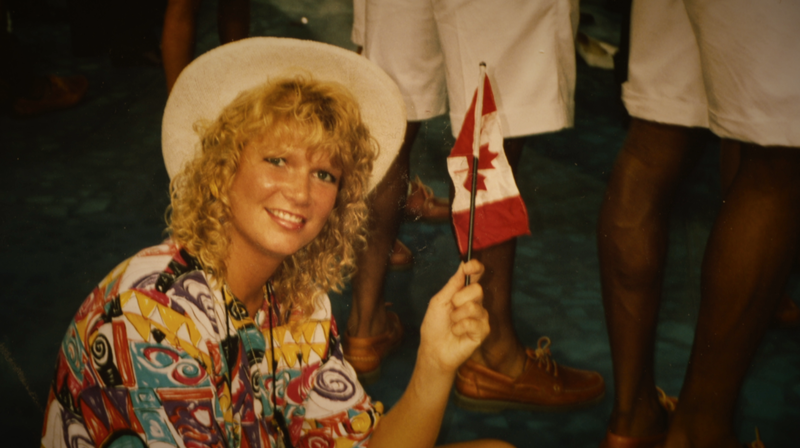 1990 saw a trip to the Pan-Am championships in Puerto Rico and another gold medal. That same year she captured a third-place finish at the World Cup. Taekwando is no different from other sports in that the pinnacle, the place everyone wants to be and to compete is the Olympic Games. 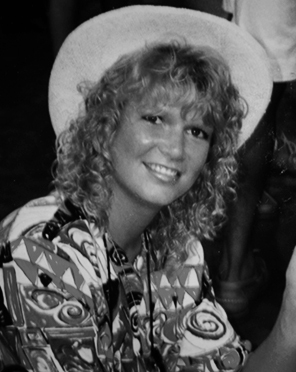 For Marcia, the 1992 Games in Barcelona provided her the opportunity for singular and long-lasting achievement. She proudly waved the Canadian flag and mingled with the Canadian team at the Opening Ceremonies. But, the best was yet to come. She battled her way to the final, beating Morfou Drosidou of Greece in the semis. In the final, up against Lee Sun Hee of Korea, Marcia lost by the narrowest of margins .. 2-0. The Silver medal was hers. 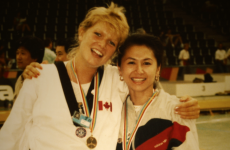 She had made a significant contribution to the sport of Taekwando and had made Canadians across the country proud. The Silver added to Canada’s growing reputation as a producer of outstanding athletes in a wide spectrum of sports. There was more competition and additional medal performances prior to Marcia’s retirement in 1995. Today, she resides in London with her husband, Joe, and sons, Dillon and Spencer. And, tonight she joins an illustrious group of athletes and builders with induction to the London Sports Hall of Fame.